During the 1700s explorers were travelling across unknown territories and charting the oceans, and during their quest for new lands and people they came across many unusual animal and plant species. Although many of these early explorers reported details of these strange and wonderful new wildlife it was not until the late 18th century that naturalists began explorations with the sole purpose of gathering scientific information. This thirst for knowledge on all the wonderful creations in God's kingdom was the beginning of the Age of the Naturalist. One of the first of these naturalist explorers was Joseph Banks. One Captain Cook's 1768 voyage to explore the Pacific Ocean, Banks went along to study the animal and plant life and what he returned with was a large collection of specimens....notably Australian butterflies. 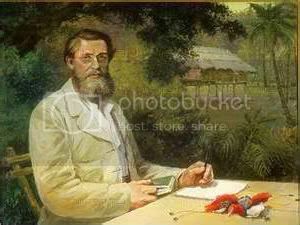 Another more famous butterfly enthusiast was Henry Bates, who during his years in the South American jungles, discovered over 8,000 new insect species, 600 of which were butterflies. he kept maticulus records of all the species he found, numbering and illustrating them in watercolor in the journals he took with him. 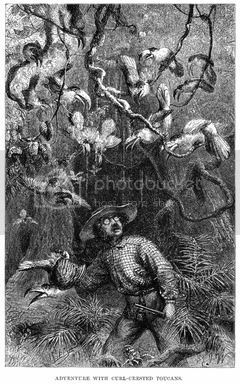 Word of the exploits of these amatuer naturalists soon spread, and shortly therafter butterfly collecting became a popular hobby among the average Victorian. Men and woman of all ages purchased supplies, nets, cases, journals and hundreds of little pins and began exploring the wilderness of their backyards and local parks in search of rare and unusual species to pluck and frame on their wall. Societies for the advancment of this field flourished too, especially in colleges and universities. Today, nature advocates would scorn the practice of cloroforming and blantantly displaying the bodies of dead insect and other crawly specimens on a bedroom wall, although at the time it was deemed quite a "civilized" thing to do. Here are some links to Daniel and Lina Beard's American Girls and Boys Handy Books that tell you how to go about doing this ( studying and preserving plant and animal specimens that is ). See I obviously have no qualms about preserving dead bugs. 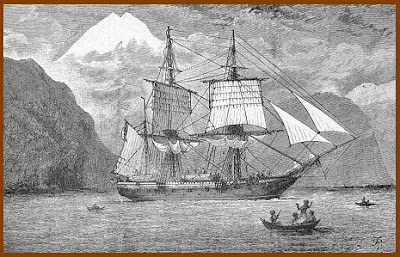 In 1831, the British Royal Navy sent the ship The Beagle to the South Atlantic and South Pacific oceans and onboard was a naturalist who was to become one of the most famous of his generation and those to come - Charlies Darwin. This young 22 year old amateur naturalist found many unusual insects and small animals to study, and years later used these to help form his theories of evolution. Naturalist explorers had to penetrate the most inaccessible areas of their quest for new plants. 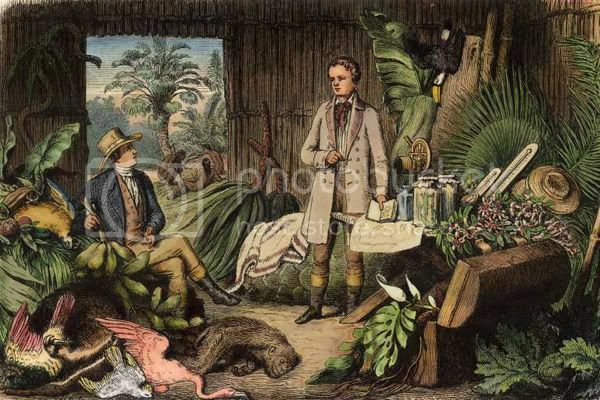 Botanists Alexander Von Humboldt and Aimee Bonpland camped for months in the jungles of South America studying, naming and recording the plants they had found. They enjoyed the thrill of adventure with the excitement of scientific discovery and many of them became rich on their discoveries. Now Alfred Wallace on the other hand travelled the world for years and years, but wealth and fame was not what he was after...he wished to prove the theories of his good friend Darwin : that Man, in his present form, had evolved through thousand of years just as other plants and animals had. Whether or not Darwin's theory was proven true, one thing is for sure....the Lord made an infinitely great amount of living creatures, each so very beautiful in their own unique way...and yet - of all of his creatures - MAN has been the only one endowed with the spirit of Adventure and the thirst for Knowledge to the origin of his whereabouts and of his present surroundings. This spirit of Discovery is still alive today, though alas it may not be as popular as it was during that wonderful Age of the Naturalist ( 1823 - 1919 ).